Make February your lucky month with a $50 free chip from SlotoCash Casino! Redeem the coupon code LOYALBAMBA to claim your $50 freebie and win up to $500 if your last transaction was a completed deposit of at least $20 in February. Do not claim two free bonuses in a row or you will not be allowed to cashout and you will get bonus blocked. Only one account is allowed per household. Good luck! 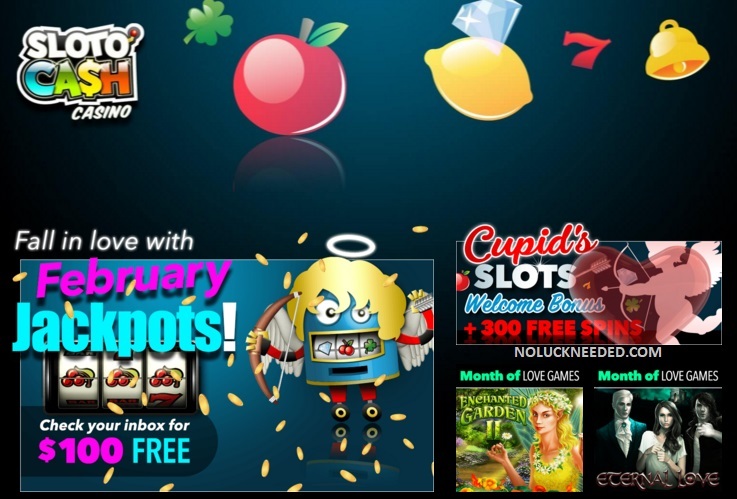 Claim Your February $50 Free Chip at SlotoCash Casino! Thanks to laura8393 for sharing the $50 coupon! VIP25LOYAL $25 Free Chip for Tues-Thurs Depositors at Uptown. The $50 free chip is still listed in the message center as of 2/21.